Are you tired of seeing these state rankings which say Louisiana’s at the bottom of all the public policy metrics? We sure are. Our theory has always been that this state is No. 1 on the weekends and holidays, and No. 50 Monday through Friday. That theory seems to bear out more often than not, particularly when ratings like the US News Best States list come out. That list might be the most comprehensive of the bunch, but it says the same thing that Buzzfeed and WalletHub and the rest of the clickbaity list-makers do – overall, this place stinks. Some of the metrics making up those categories are arguable; for example, “Quality of Life” contains three metrics making up a “Social Environment” – Community Engagement, Social Support and Voter Participation – and four metrics making up a “Natural Environment” – Drinking Water Quality, Low Industrial Toxins, Low Pollution Health Risk and Urban Air Quality. There aren’t a whole lot of people in Louisiana or too many other places who would agree that’s a comprehensive way to measure quality of life. Even so, this might be the gold standard of attempts to measure where the best places to live are. That’s the one we know about, and have known about for a long time. It’s the reason for the ongoing Texodus, the outmigration of Louisiana’s talented job-seekers and job-creators to that economic behemoth across the Sabine River, and it’s the reason so many families here have to collect relatives at airports for holiday celebrations. It’s why LSU has more active alumni chapter in Houston and Atlanta than in New Orleans and Shreveport. But what are we doing to get off the bottom of the opportunity list? Our governor is pushing a trial-lawyer-wet-dream Equal Pay bill which has no chance of passage, that would pervert the job market mostly against women – if you’ve got to pay a woman more than you otherwise would in order to avoid being sued for pay discrimination based on some government bean-counter’s reckoning of pay equity, you’ll probably just hire a man for that job. He’s also pushing a state minimum wage bill which would limit the opportunities of kids and other unskilled workers to get low-level jobs in which they could learn the skills and habits that lead to success. He’s lining up with the Legislative Black Caucus behind tax increases which would fall heavily on producers and businesses and kill jobs. He’s promoting frivolous lawsuits against oil companies which have all but shut down new drilling in the state and dried up what used to be one of our most lucrative industries. No, there is no progress being made on improving opportunities for Louisianans to succeed. Quite the contrary. And we’re already worst in the country on this score. Meanwhile, Louisiana doesn’t fare a whole lot better on most of the other metrics. But before you get sucked into the myth that it’s a lack of public-sector investment which places us near the bottom in education, or health care, or infrastructure, let’s disabuse ourselves of that. Our buddy Scott Smith did a little research yesterday and came up with some interesting numbers. First, on education. As of 2015, Louisiana was spending $11,010 per student per year on K-12 education. That placed the state 26th in K-12 spending, which is actually less than we had been ranked – a couple of years earlier Louisiana was 18th. In K-12 educational outcomes, Louisiana has hovered between 46th and 49th for as far back as we can remember. Next, on infrastructure. 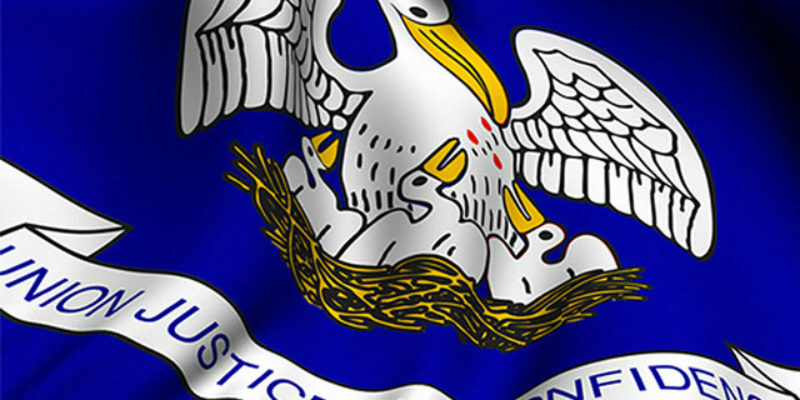 US News has Louisiana 44th, but one factor which improves that number in US News’ rankings is that Louisiana has the cheapest electric rates in America (which should be a source of pride, and a reason to thank the Louisiana Public Service Commission and its chairman Eric Skrmetta for performing a hell of a lot better than the rest of the state’s government). Where it comes to transportation infrastructure Louisiana drops a notch, to 45th. And yet despite all the howling you’ve heard in the past year or two about the need for a huge gas tax hike to build roads, because Louisiana has no money to build and maintain roads, interestingly the numbers tell a different story – according to the Tax Policy Center Louisiana ranks 36th in per capita road spending, and above the southern average. And on health care? There have been lots of studies placing the state in the bottom five with respect to health care outcomes. US News has Louisiana 47th, and more specifically 48th in health care quality. Generally, what drives those rankings is the outcome for people who aren’t enrolled in private-sector insurance plans; those tend to be pretty satisfactory across the board. This has to do with public sector performance, which in this case is Medicaid. After all, thanks to the runaway Medicaid expansion in Louisiana which has added just under 500,000 new people to the rolls, and some 1.6 million Louisianans are now on Medicaid, this state’s health care is about as socialized as you can get. So those bad outcomes are without doubt a public policy metric. In 2014, which was two years before Bobby Jindal gave way to John Bel Edwards as Louisiana’s governor, the state ranked 20th in per capita health care expenditures. That was before Edwards expanded Medicaid in 2016; it was before Edwards jacked up the budget for the Louisiana Department of Health from $9.5 billion to almost $15 billion. What do you think Louisiana ranks in per capita health care spending now? Are you getting the picture? In all of these key public policy metrics, Louisiana is spending either top dollar, or at least middle-of-the-pack dollar, to drive a pathetic result. Our money is being wasted and stolen, as is our opportunity to make a better life for ourselves and our families here in this state. And our governor is busily demanding we pay an even higher price for the same fraud, waste and abuse which has plagued us all our lives. The answer should be obvious. So is the needed result when he asks us for our votes next year.